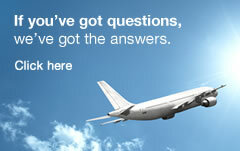 Do you plan to travel overseas? The Clinique Santé-Voyage de Montréal can ease your mind before you leave the country. The number of diseases that can be prevented by vaccination has increased recently. By staving of infectious diseases found in countries frequently visited by Canadians, vaccination is the most effective method to avoid health problem while travelling. At the Clinique Santé-Voyage de Montréal our physicians and nurses thoroughly assess each traveller's specific needs. 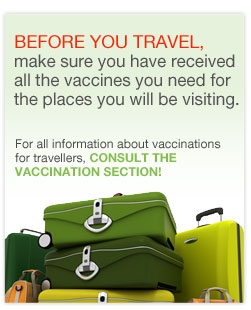 They are pleased to inform you about vaccines and drugs recommended for each country on your itinerary. Each patient is evaluated individually.